Law Firm Business Development = Building Relationships! Yes, you read it right. It is as simple as that! Yet many find it difficult to comprehend. I wonder why?! When I stepped into the professional world after graduating from law school, all I knew (or rather was told) that legal profession in our country is considered as a noble one and advertising or marketing is a big NO! Therefore, no induction of any manner was provided on business development. It was only after I made a switch from practising law to law firm business development that it became crystal clear why only a chosen few from the legal fraternity made it to the top, while others could not scale similar heights in spite of their expertise. The concept of business development is not introduced to young lawyers at the opportune time. Even today, only a handful of Indian law firms actually have a business development vertical in their organisations, where this function is often considered unimportant and therefore side-lined. Business development is often misinterpreted in the legal fraternity as a “sales-y” job and many lawyers refuse to do it. Some do not try because of their fear of not being good enough, while some believe that their work should speak for itself and rest simply procrastinate. It is surprising to notice that sometimes lawyers with a lot of potential and expertise actually lack basic soft skills- the cornerstone of business development. However, business development, in essence, is nothing but relationship building. It is all about building honest, meaningful and long-term relations! It is actually no less than a long-term investment in oneself and one’s career. We know for a fact that one happy client will refer your services to others. Therefore, business mushrooms from relationships. You can start by building on relationships you already have- it could be your relatives, batchmates, colleagues, friends or acquaintances. Give a personal touch to your communication with existing and potential clients. Let them know they are valuable to you. Everyone likes to be appreciated! Small gestures such as birthday wishes or festive wishes, congratulatory e-mails, invitations etc. will make you unforgettable. Communication is an indispensable aspect of our everyday life; we never stop communicating. This is especially true when it comes to business relationships and how we communicate with our existing or potential clients. 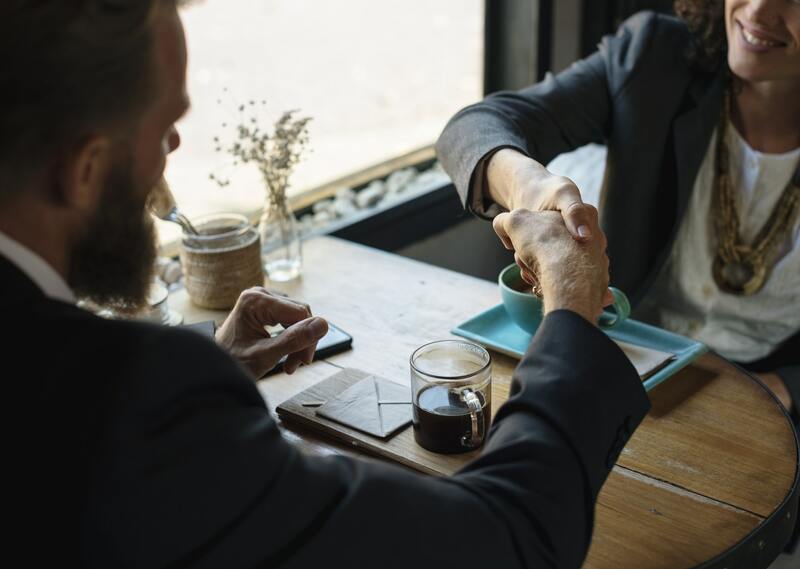 We, as lawyers, love to talk but when it comes to building relationships, “listening” is as (if not more) important than talking because it allows you to understand your client’s needs and build a bond. Be very sincere and authentic in your approach to building meaningful relationships. Superficial relations are only short-term. Read about other fields apart from law, so that you are able to engage in meaningful conversation with non-lawyers and build a rapport. Find a common interest and use that to build a bond. Follow news and stay informed about happenings in other fields as well. Many people these days are active on social media. Be proactive on various social media platforms. Mark your presence by sharing your views and interacting with other people. People need to know you in order to refer work to you. You may be excellent at your work and your documents maybe spick and span but if you don’t understand the importance of letting the world know of your existence, you will never grow. Some say rainmakers are born and not made but the fact is rainmaking is a skill and it can be developed with practice and experience. PS- If you do not enjoy marketing, you will never do it. So figure out what aspects of marketing interests you and focus on the same. Use those aspects to strengthen your professional relationships. Make marketing a fun game and not something you dread! Once you start, the confidence will kick in! Remember- Consistency is the key to master any skill! The sooner you learn to be your own boss the better! This post has been written by Shreya Sharma. The author can be contacted on LinkedIn here.